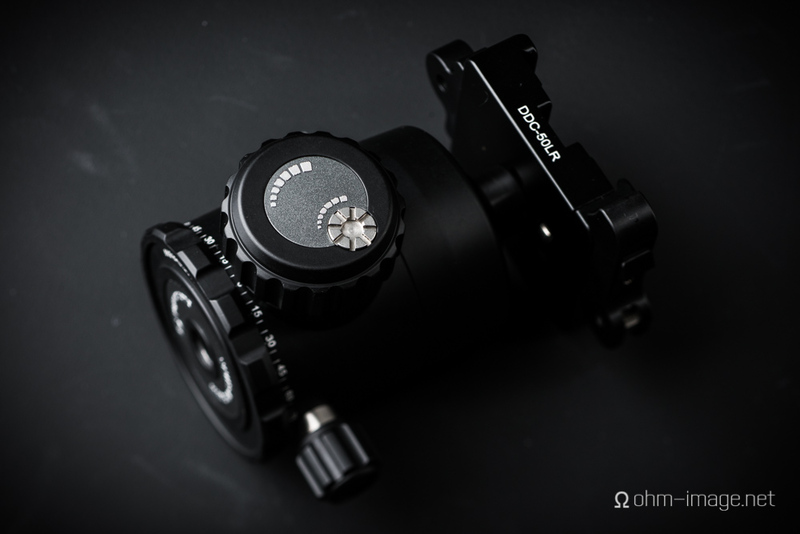 The FB-44 is a simple, classic tripod ball head. Adorning its rather slim body is a single perpendicular portrait notch and two rotational locks. Up top is an excellent three-position lockable Arca Swiss clamp. Opposite the clamp lever is a single-axis bubble level. The large main lock scallops are easy to grip for normal-sized hands. Owners of large hands, however, may find the grip area too narrow or small and therefore uncomfortable. And in cold weather, the main lock isn’t wide enough for a good gloved grip. In a warm studio like mine, however, it works like a charm. Sunwayfoto include a hand friction adjustment dial. This is a great addition, which governs the lowest amount of friction applied to the ball. This is a great time-saver for quick magazine shoots, which often have me hopping around the studio. The 360º rotating panning base is both smooth and stable. It is easily the equal of any Gitzo photographic head out there. But small things like round font choice and small letter size remind that Sunwayfoto still are a new company. A square font, not typical to print literature would be more appropriate to the multifarious environs in which a tripod head is used. The panning base knob locks and unlocks in an ultra-short activation distance of less than 90º. This is both a blessing, in that locking is quick; and it is a curse in that it lacks a low-friction setting. It is also fiddly with gloves, and especially when used in conjunction with wide-diameter base plates. Finally, the metric scale on the locking plate is a nice touch, but I think a longer scale out to 20mm would be better. Again, I tend to use macro rails quite heavily. Legibility is everything. Sunwayfoto’s machine skills are good. Seams are kept to a minimum and are joined with proud, precise edges. Corners are politely rounded, and the tolerance between the ball head and mount are tight. The three-position clamp lock is a blessing that needs deserves its own essay. Next time around. However, there are some porridges in the ointment. The quick-release tightening bolt is very hard to move even without gloves. All logos and fonts are subject to rubbing off. Finally, not enough parts are field replaceable, and the bottom plate has a somewhat suspect outside flange thickness. Are any of these serious setbacks? No, but they are areas I wish Sunwayfoto would pay greater attention in coming iterations. Finally, Sunwayfoto’s website is well organised, if sometimes slow. Finding the right information about your product is easy. And accompanying product shots (not mine, bugger that) serve each product well. Sunwayfoto’s spec claims the FB-44’s capable of supporting a maximum load of 30kg. The second instalment of this review will cover how well that claim stands up when mounted with heavy gear. In this first section I used a Nikon D800 and a Sony a7r along with brackets, Novoflex's ASTAT collared adapter, and tilt/shift lenses. While I haven’t subjected this head to a 30kg load, I have used it for many hours in both landscape and portrait modes and can give an honest, if brief, users’s opinion. I think the claim is a bit bold. In landscape orientation, no doubt. But at off-angles, the Gitzo 3 series (23kg max) appears to exhibit a little less creep when subjected to obtuse angles and heavy loads. It is of course a much larger and heavier tripod head. For all intents and purposes, I believe the FB-44 to be closer to the Gitzo’s spec. The Gitzo’s greater obtuse angle strength comes from a wider distribution of weight along an inverted pyramid at its neck. The Sunway distributes weight at a higher point along its fulcrum. Under typical loads, Sunwayfoto’s head is exceptionally stable and precise. Its friendly spirit level is fast and accurate and its 90º portrait hard-stop is a blessing for studio use. 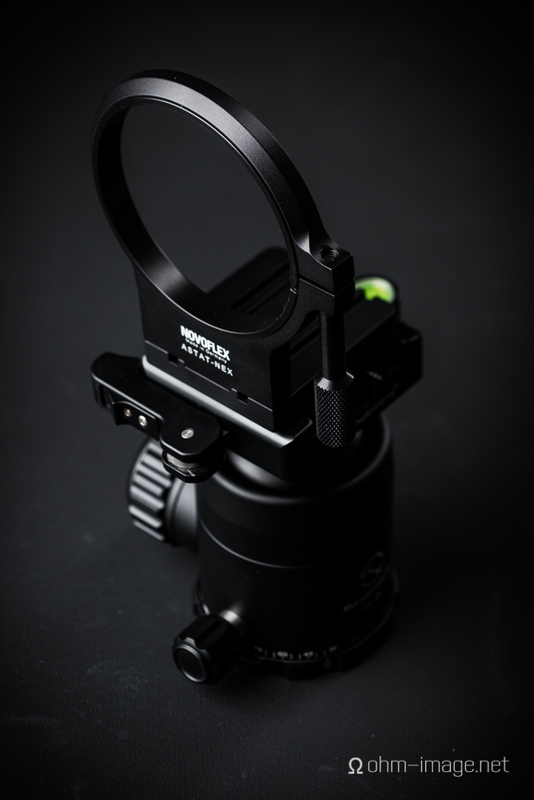 Sunwayfoto boast a rapidly expanding accessory set, most of which is manufactured to the same high standards. That said, the shining stars in the lineup is their tripod heads, which really do measure up to the competition at both ends of the spectrum. If you can’t find the accessory you were looking for from Sunwayfoto, you can easily find compatible products elsewhere. Sunway’s joining of a larger compatible world is a breath of fresh air for Manfroto/Gitzo users. At the same time, Sunwayfoto’s heads come at prices between the two segments, yet maintain a high degree of stability. To think, a mere five years ago Sunwayfoto didn’t exist. Today they manufacture products over twelve different product categories, many of which rival the spec of well-established competition. As a still-life product photographer, I’d like to see Sunwayfoto design and manufacture more macro-oriented tracks and linear motion rails. I think they have the precision manufacturing capabilities necessary to really dent that market. The FB-44 is a wonderful head. It is strong, and, for the most part, easy to use. What needs to be improved: the size and position of the panning base lock knob, the size of the scalloped main lock, and better integration of field-replaceable parts, are not minor reworkings. But each falls easily within the realm of Sunwayfoto’s obviously excellent capabilities. I have now used the FB-44 for two commercial week-long headphone shoots and can fully recommend it. And, for all you on the fence: there is no time like now to ditch your Gitzo. Despite its few issues, the FB-44 is worth it. Well done.